One must go back in time to the late 1970s to trace the origin of one particular Conrail SD40-2 that would enter the annals of infamy--and notoriety---in the new century under a new owner, paint scheme, and strikingly unique road number. During the time span of 1977-1979, Conrail accepted delivery of 166 SD40-2s in an era that this class of locomotive would soon dominate. The SD40-2 became king of the rails during the late 1970s and wore the crown through the 1980s until newer generation power---specifically GE products-- began to appear on the nation's railroads en masse during the 1990s. Although displaced by newer generation models with the passing years, SD40-2s still populate railroad rosters large and small giving credence to the durability of the model. When this 1978 photo was taken, Conrail SD40-2 #6410 was just another new locomotive on the roster. A little more than two decades later under a new owner and road number, it would become arguably one the most famous locomotives in railroad history. Photo courtesy and copyright of C. W. Lahickey. 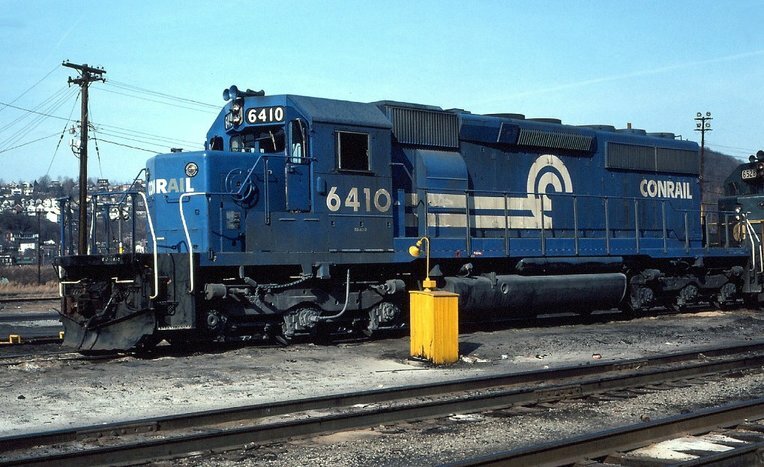 Conrail SD40-2 #6410 was one of 166 units ordered in the 1977-1979 batch having been built in August of 1977. 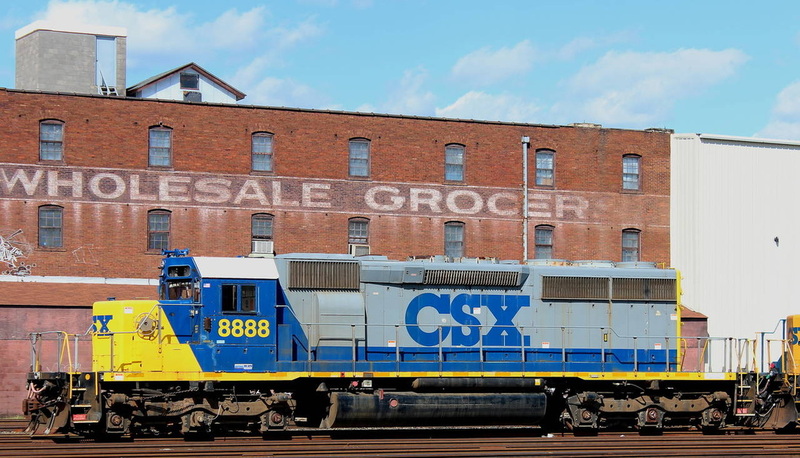 Throughout its Conrail career and after that road was split between CSX and Norfolk Southern in 1999, it existed in anonymity as simply another SD40-2 among many logging and hauling the freight as it was intended to do. At Toledo, OH in 2001, all of that changed. There are additional sources on the web describing the incident and locomotive as well. As fascinating as this runaway was, what must not be forgotten here is the human element. There were lives forever altered by this event. Not only was it unfortunate for those individuals but could have resulted in catastrophic consequences in the public domain. 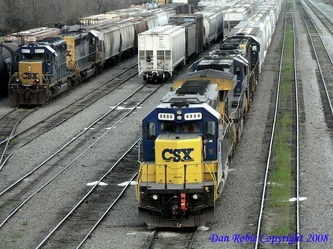 The runaway incident garnered national media coverage including the famous aerial footage of the train making its crewless trek southbound through Ohio. From this moment forward, the #8888 received the moniker of "Crazy Eights" and became one of the most sought after locomotives to see in the rail enthusiast community. I had the opportunity to see and explore this locomotive on a visit to Monroe during March 2008. It was the second time throughout the course of that year that it had been assigned to local service on F761/F762 which was a Monroe-Greenwood, SC turn. 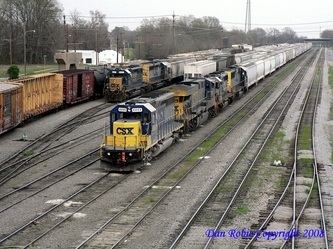 My visit was on a weekend when that pair of locals did not operate so it was tied down in the Monroe Yard. 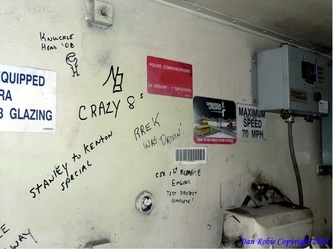 This was the first and only time that I would see this rail icon---"Crazy Eights" up close and in the flesh. 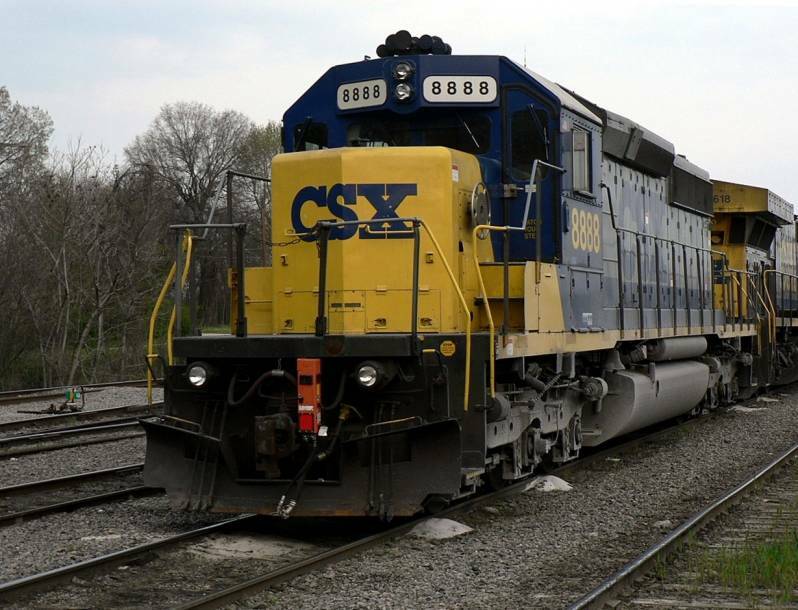 It was little more than a year later when the #8888 suffered a major prime mover failure while in service on a train in Kentucky. The closest terminal in proximity to where the breakdown occurred was Corbin, KY. 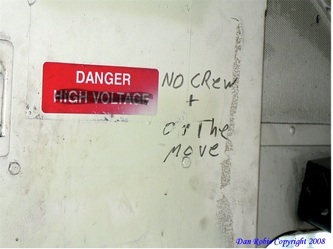 In the summer of 2009, it was taken to the storage track there where it would remain idle for the next four years. The primary reason it was left in storage was the economic crisis and the downturn in rail traffic that resulted from the financial meltdown. 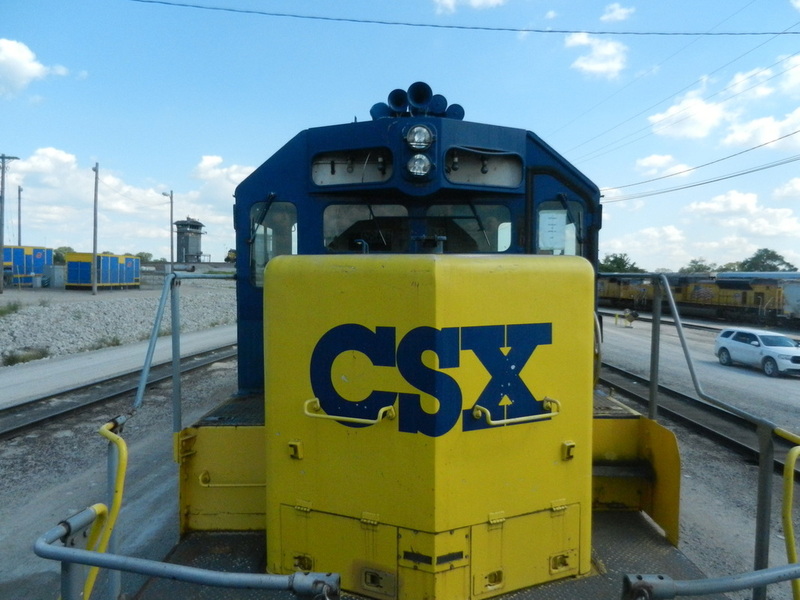 Since CSX was already storing locomotives during this time period, there was no demand to repair and return this locomotive to service with any urgency. During this interim period, a contact at Corbin informed me that there were initial plans to return #8888 to service in 2011. For reasons unknown, the locomotive was not repaired and remained on the dead line there for another two years. The movie has received mixed reviews in the railroad/railfan community mainly due to prototypical discrepancies relating to operations and railroad employees. Being that it is Hollywood---which has never been a true conformer to historical or detailed accuracies anyhow----the film should be taken at face value simply as entertainment. 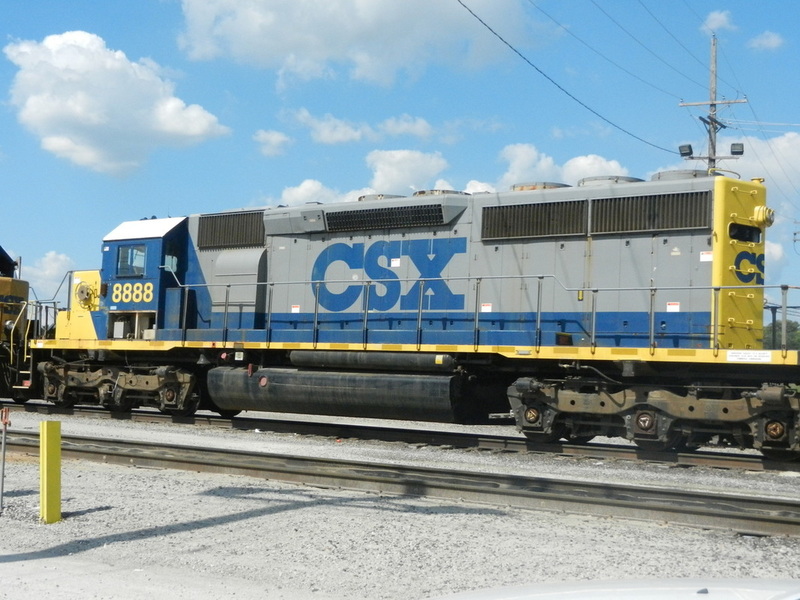 After sitting in storage at Corbin, KY since 2009 with a major prime mover failure, the #8888 departed in tow on train Q900 to Cincinnati on May 16, 2013. From there rode with Q320 to Russell, KY and furtherance to the Huntington Shops. Trains magazine published a piece on the locomotive indicating it is to be dismantled once it arrives at Huntington. 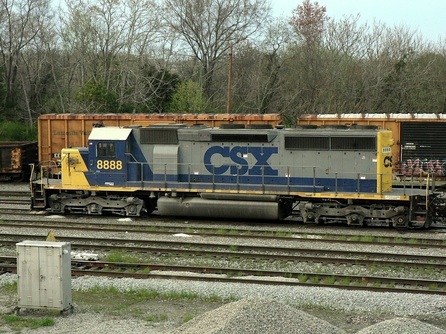 CSX #8888 ran in tow from Russell, KY to Huntington, WV on train H779 May 21st. Perhaps the last few miles moving on the mainline as an SD40-2 and certainly with that number. All indications at this time are that it will be placed on the dead line and used as fodder for the SD40-3 rebuild program if and when it resumes. Huntington did confirm that it will be slated for this project at a future date. Of course, plans are always subject to change and any confirmed deviation of information that I receive will be updated here accordingly. On a curious note, only the 8000-8200 series SD40-2s have been thus far used for the SD40-3 conversions. "Crazy Eights" would be the first 8800 used for this project. The locomotive is not "officially" off the roster as of the date of this rewrite (June 9, 2013) but that could be forthcoming. If and when it occurs, the actual retirement date will be inserted here. 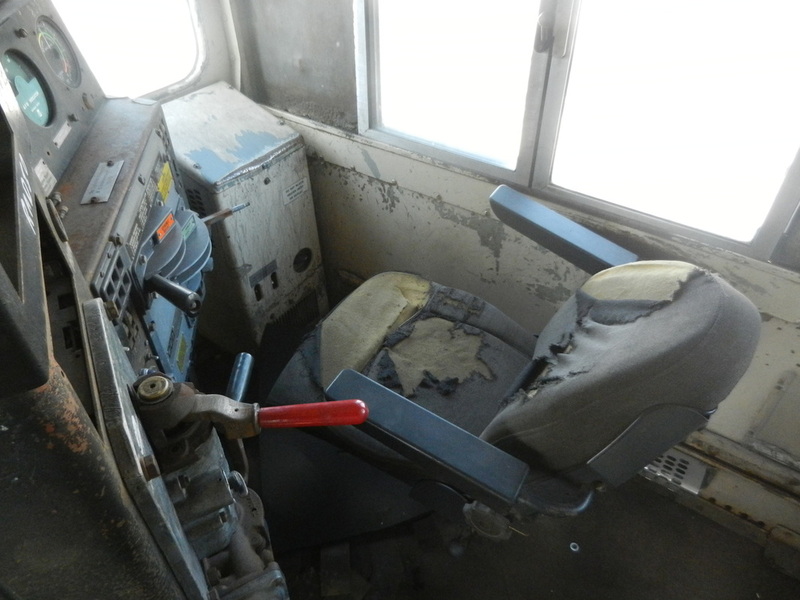 Any news I receive about the ultimate fate for this locomotive---whether it be restoration, SD40-3 conversion, or scrapping for parts----will be updated here. 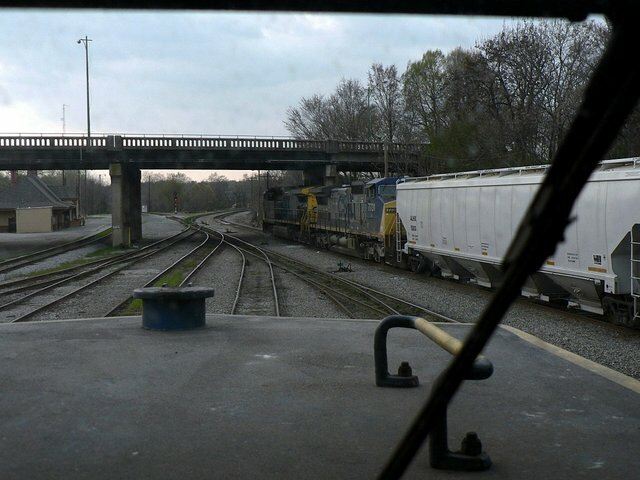 The #8888 awaits its fate on a storage track at Huntington, WV. Life as a SD40-2 is finished and it will emerge from the shops at an undetermined date reincarnated as a SD40-3. Notice that the number boards have been removed likely for souvenirs in this 2014 view. Image courtesy of Curtis Riffle. 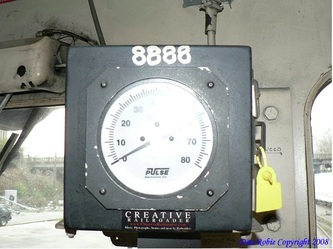 June 25, 2013: In a conversation with an official at the Huntington Shops, the word is that 8888 "will probably be rebuilt into a SD40-3" once that program resumes. 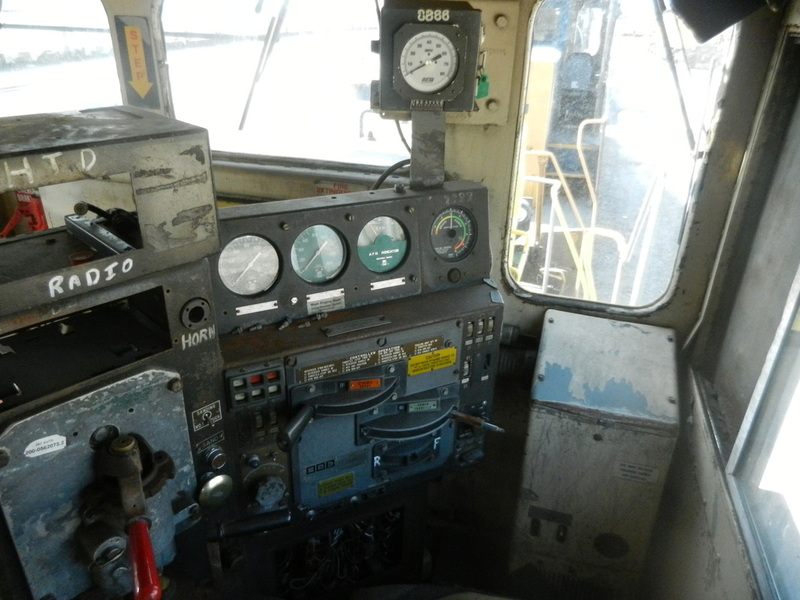 October 2013: Confirmed that #8888 will be rebuilt as an SD40-3 when that program resumes. Tentative date of 2015. August 7, 2015: #8888 departed Huntington Shops on H779 for Russell, KY as the first leg of its trip to Boise, ID for SD40-3 conversion. 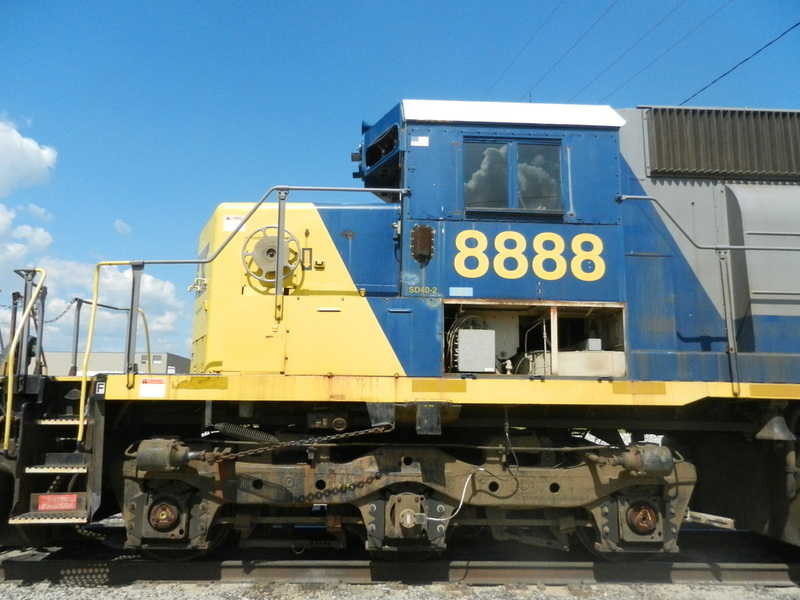 A series of images of the #8888 taken at the Alton & Southern Yard at East St. Louis, IL in August 2015. 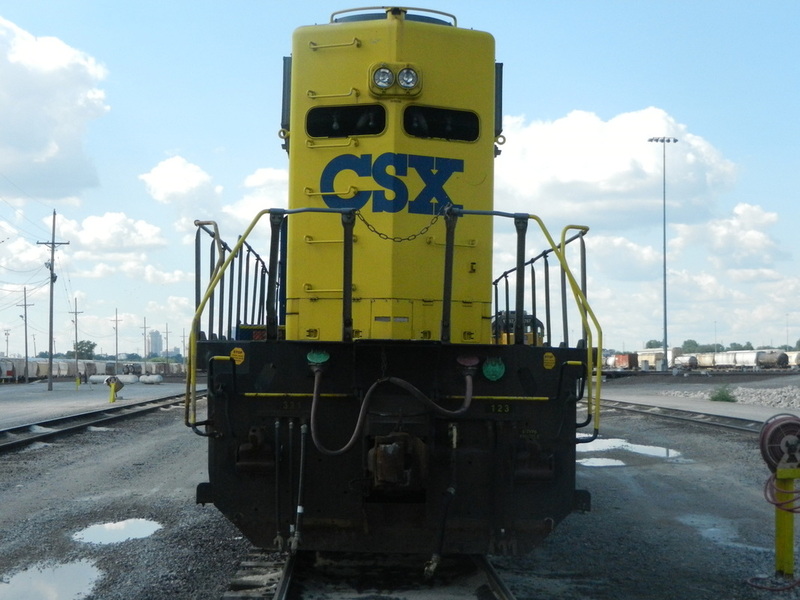 The locomotive was in transit as it would ultimately move to MPI at Boise, ID for SD40-3 conversion. Many thanks to Andrew A. Gerwitz III for contributing these images.